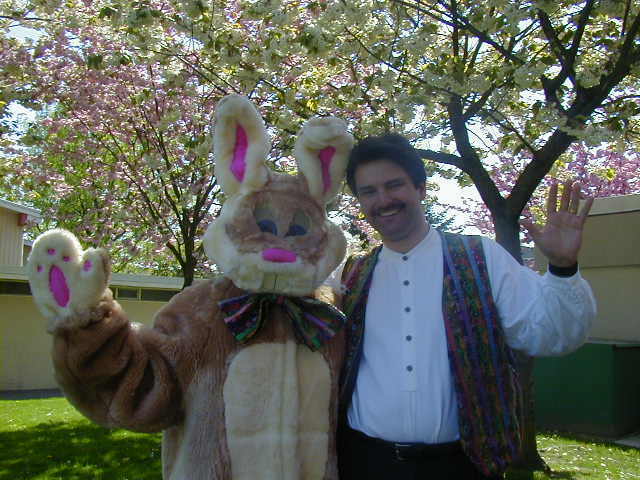 Harvey, our Easter Bunny mascot. He's funny, furry and friendly! 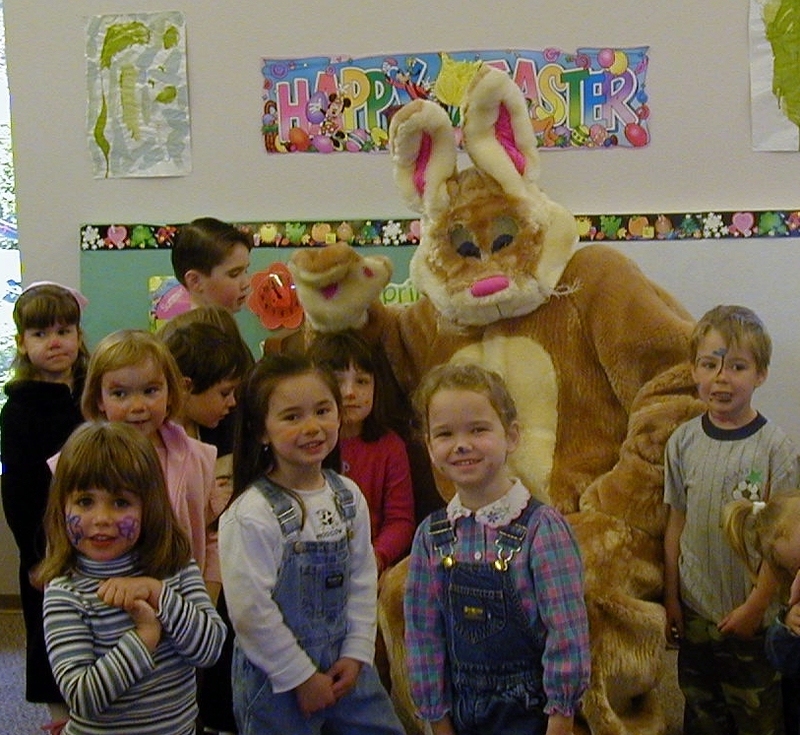 Easter is early this year, so don't delay, contact us to inquire about your funtastic event. and Time - simply Click Here! Enjoy a fun family romp in the garden, green space, or field (or indoors, even!) for a fine Easter event sure to please. Feeding the family? 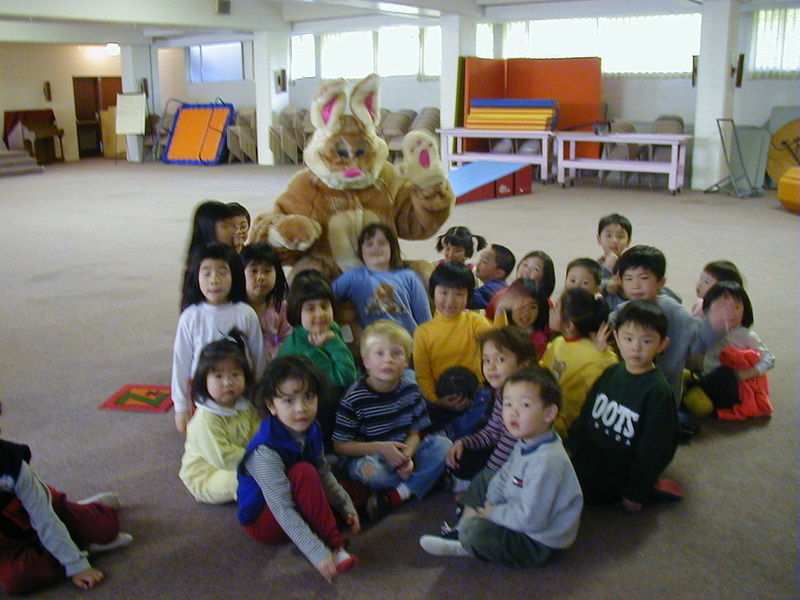 We have a visit with Harvey, as well as strolling magical entertainment, and fun activities for children of all ages. Enjoy a day 'at the hop!' with a toddlers' furriest visitor - huggable and friendly, Harvey is a with all the children.